A dense coniferous forest, a scenery with high alternation of lights and shadows, but clearly visible in every condition, with great care for lighting and texture. This environment is a solid base for your scenes, as you can see by the posters. Notes: The scene include 1 terrain, modeled in World Creator and texurized in Vue. It was populated with 6 eco-systems, all adjusted for this kind of terrain. Schefflera For the Vue Infinite/xStream users, they are already in bundle. Packlist: 1 Vue scene, 1 readme.pdf (houses, vehicles, people, animals are not in bundle, they were used only for posters). The file zipped is a multi-volume of 3 parts, you have to download all of them to open correctly the file. 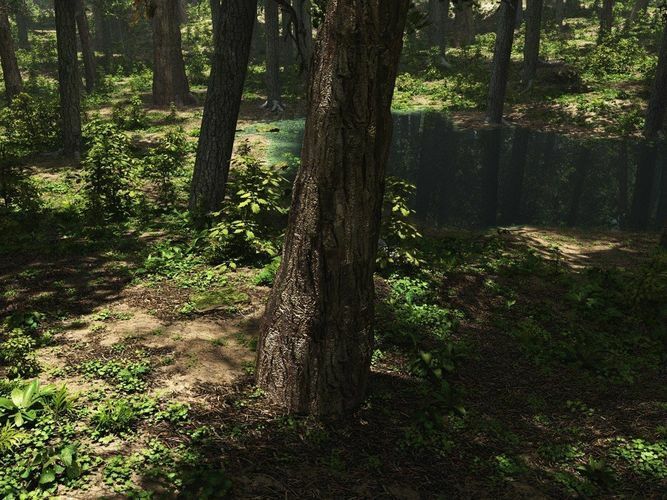 This one is ready for an Endor render from Star Wars! Great model.